This is the ultimate LINDOR gift for the ultimate LINDOR lover. 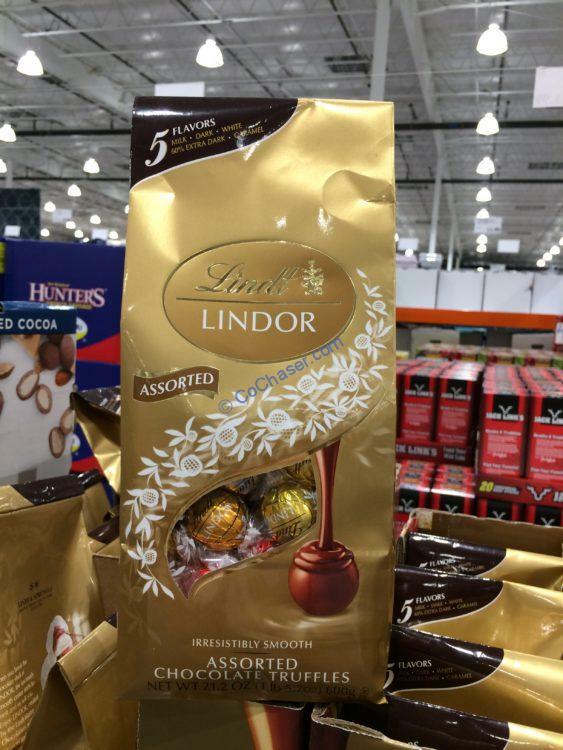 You can Share delightfully delicious LINDOR truffles in five delectable flavors with neighbors, colleagues and friends. LINDOR truffles are created with passion and love for chocolate by the Master Chocolatiers at Lindt. It Contains approximately 51 truffles. Discover the LINDOR truffle. Smooth, melting, luscious. LINDOR Assorted; a delicate chocolate shell envelops an irresistibly smooth truffle filling. Includes Milk, Dark, White, Extra Dark, Caramel. Per serving size 3 balls (36g), contains 230 calories. For each serving, you get 18g total fat, 13g from Saturated fat, 2g protein, 0 fiber and 14g sugars.